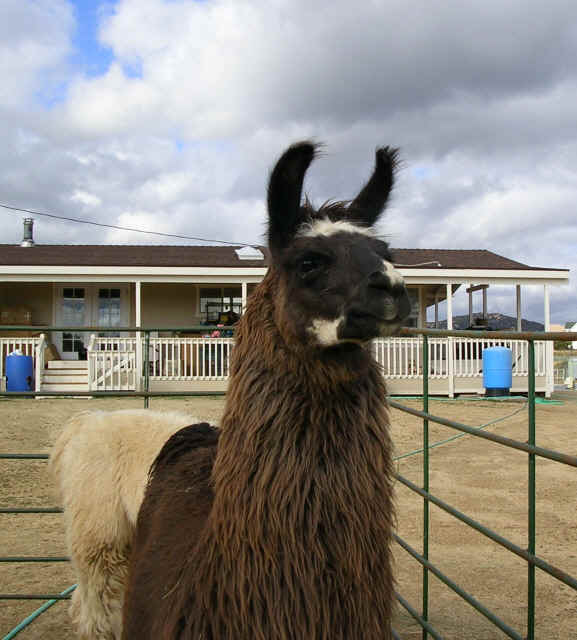 Come talk about our llamas boys, ask questions, and look at what we are offering for sale. Out of the famous Herdsire, Chileno Chiri Chico, this boy is a grandson of the great Chasca. First offsping from Kobra's Serpiko, 2005 Celebrity Champion. And is this cria special with gorgeous fiber and color. Ask about our special group packages if you are starting your breeding program. 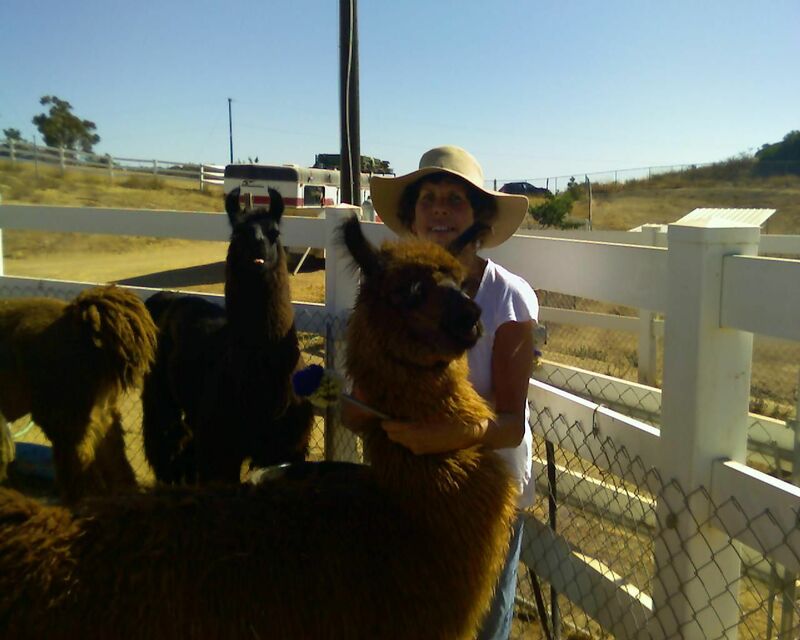 If you want to learn about llamas we are happy to mentor you. 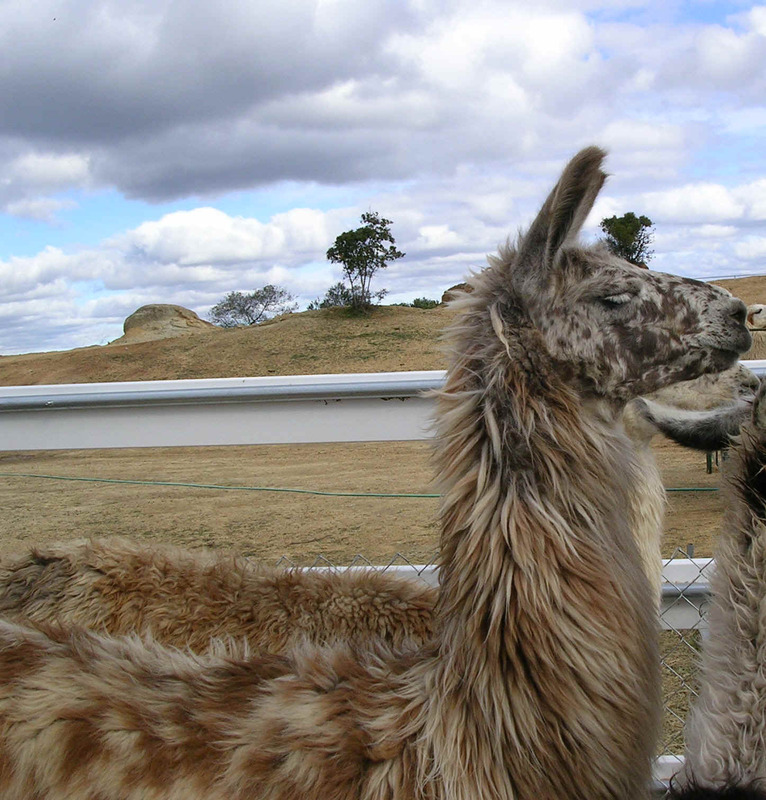 If you wish to adopt a llama, that is possible too. Hill’s Chiliad Crescendo is a beautiful silky male with incredible temperament and beauty. His sire, our strikingly beautiful Full Chilean Appaloosa, RLL Millennium, is the brother to the Burgess’s Granola, and son of the Great Chilean RAR Black Jade and a Chilean Canoso daughter. Crescendo’s dam (Mor’s Dominique) is a Lom’s Batman daughter who brings outstanding genetics and steady, gentle disposition to the hybridization which produced Crescendo. Her impressive pedigree includes Lopez and Senor Bolivia. In fact, Crescendo vastly resembles his illustrious Great Grandfather, Senor Bolivia, having inherited the grey and brown silky, curly fiber, and artistically placed white markings that were Senor Bolivia’s trademark. Crescendo’s father, Millennium has produced a high frequency of offspring, which excel in the show ring, some with the silky wet-looking fiber typical of suris. Crescendo took first place at Del Mar the first time he was shown. 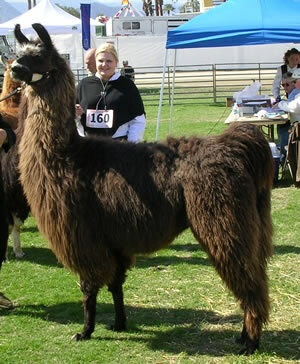 He recently took first place medium-wool 2-year old males at the Riverside County Fair. He actually took first place at Indio two years in a row. In 2005 he qualified for Western regionals. 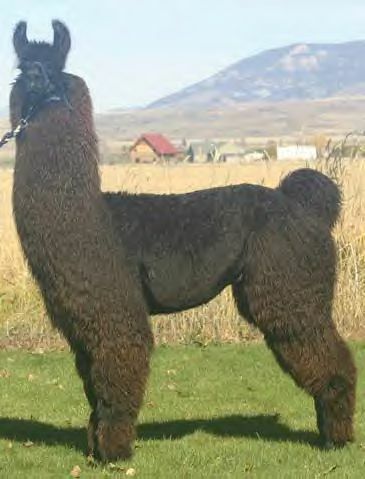 His father, Millennium, has vivid color and, produced the LANA Supreme Grand Champion (and April Magic Supreme Grand Champion), Mor’s Sugar Daddy (2003). One of Rhapsody’s brothers, Beacon Hill’s Rhapsody, just took First Place at the April Magic ALSA show in Chino Hills (Heavy wool). . Crescendo is a gentle and loving male who loves to interact with his human companions, yet is cooperative and well behaved. He is generally the first one to greet us in the morning. He is a wonderful travel companion. 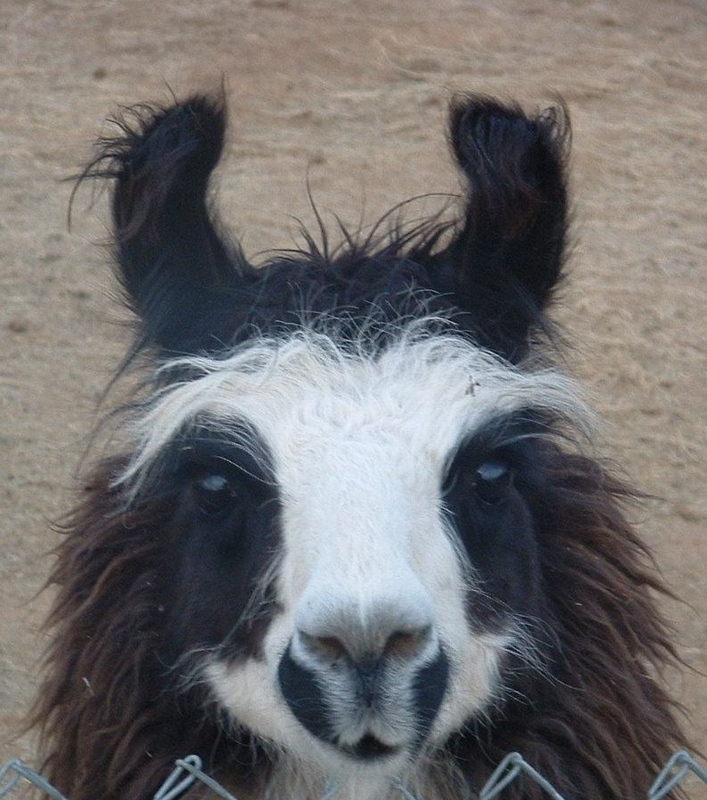 He can build your llama image with his outstanding conformation, disposition, and silky fiber. He has it ALL. We are proud to offer him to a good and loving home, but will miss him as we count him among our best. Crescendo has silky fiber with fine lock structure. It is very beautiful, and you can see how it blows in the wind. Millennium has done it again. This boy is a half-brother to Rhapsody and Crescendo. Incredible color and a superb temperment. Connect the Dots always gives her boys a disposition that allows us to use them for therapy, parades, and show. And Millennium has added spectacular color and flair. What more can we say? Cascade is a sweetie, and his laid-back personality has made him easy to train. Congratulations and Thanks to the Bascoms (Jeffrey and Rebecca) for loving our boy. This first Connect the Dots' son is so pretty. Come and see him, and fall in love. 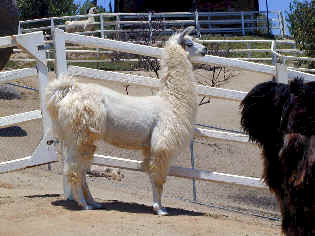 We are selling him as a pet or as guard llama. We have more lovely boys to offer. Please call us if you would like additional information.